In recent years, tours and travels have become a growing business due to the increasing interest of the younger generation—the millennials. They have become and the water to the thriving seeds of the tourism industry with their urge to experience and discover the unknown. Studies show that millennial travelers are into traveling not only to create memories with the people they are traveling with, but to also experience what they have not experienced. With that said, more and more millennials travel compared to their older counterparts; each year the percentage of these young travelers grow and each year it is better of the industry. With that said, tours and travel websites are becoming more and more significant as millennial travelers use their services when they need to better their itineraries. Not only that, these websites come in handy when they need to plan their travels or book ahead of time. If you have already established your own tours and travel website or are still planning to do so, here are a few tips to help you out. For those who already have their website running, a little remodeling might help attract more young travelers, that will, in turn, be beneficial for your business in the long run. 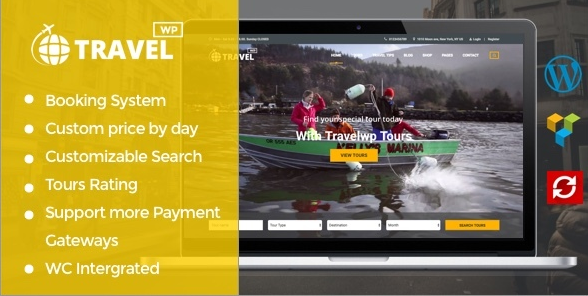 Here is a list of the best tours and travel website templates that are perfect for your business’ website. 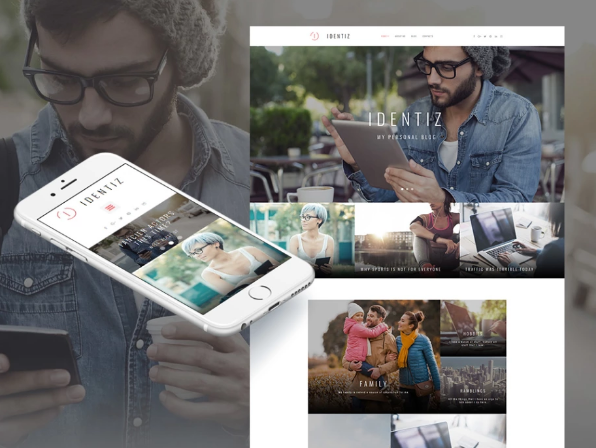 First on this list is a fully responsive template built with Bootstrap. This travel agency template design is packed with rich UI kits that contain buttons, social media icons, arrows, and so on. It can be customized to fit your website’s branding. This website has cross-browser compatibility, meaning it is compatible with different browsers such as Chrome, Safari, and Firefox. This website also has search engine optimization options that will allow you to make your website visible to most. With these features it will help generate more traffic to your website. This website uses google fonts, allowing you to choose the perfect text style that will perfectly go with the whole theme of the website. This website template also comes with a parallax feature that will help create an illusion of depth to your website’s 2D background. 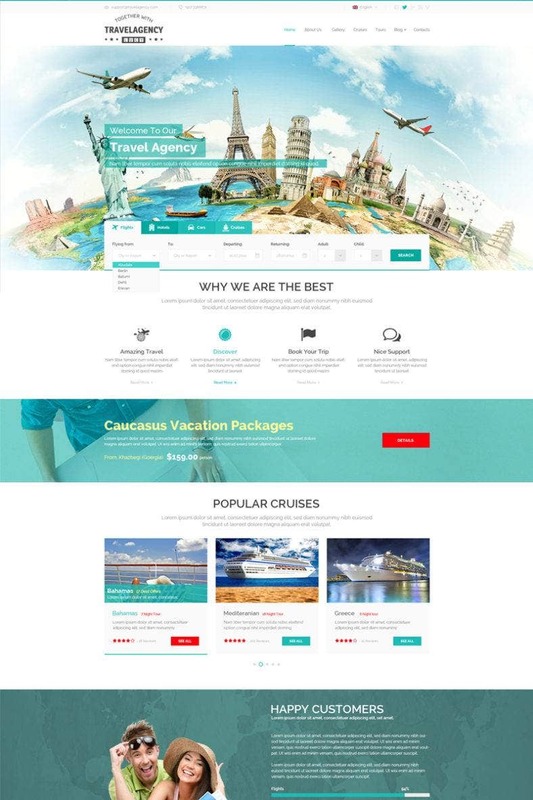 This sun travel website template by MotoCMS does not require any coding skills. If you are looking for a website template that is easy to navigate around, this is for you. This particular design is packed with key features that will help optimize your website to its best potential. It is 100% responsive and is retina-ready. It has cross-browser compatibility that will allow your visitors to view your website on any device and browser. This website design also comes with a parallax feature, that can be added with just one click. Furthermore, this web design comes with galleries and audio and video widgets that will improve your customer’s experience by adding slides, a carousel, or a grid gallery. With the audio and video widgets, you can add media with the help of the website’s built-in players from YouTube, Vimeo, Soundcloud, and many others. 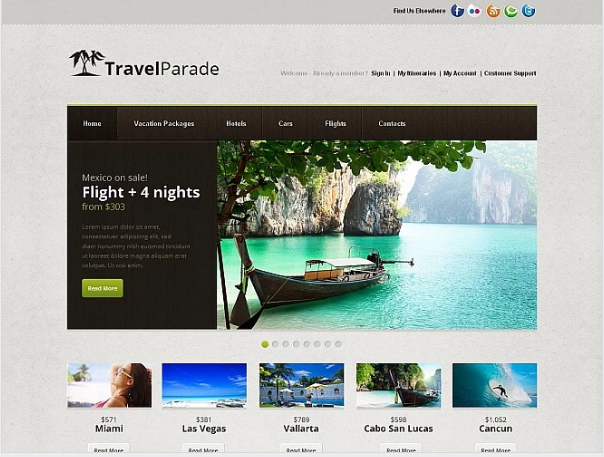 Travelo is a multi-functional website template ideal for holiday agencies and tourism companies. This subtle and striking website uses white, orange, and turquoise for its foundation colors. It exudes a sense of serenity, nostalgia, and longingness in a website template. Also, this theme is packed with custom widgets that will you to customize this website even more. It has mobile-friendly design that will enable your customers to view your website on their computer, tablet, or smartphone. Travelo also comes with a google map short-code that will let your customers interact with your website’s map, which makes it more intuitive. Being a tours and travel website means that you will have to cater to different travelers across the world. Travelo also comes with a translator feature, allowing you to easily translate the entire site into a different language. 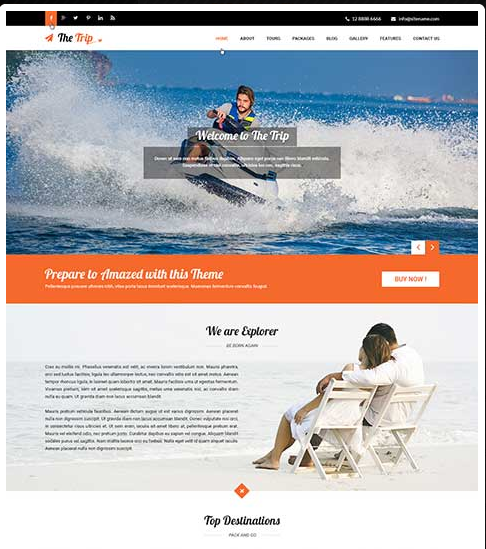 The Trip is a website template developed by SKThemes, designed and coded for tours and travel companies. Like the few already mentioned in this list, The Trip has cross-browser compatibility and works well with any kind of device. It is easy to edit from colors to texts with color-pickers and Google fonts that offers up to 600 fonts. The Trip, unlike other themes, does not heavily depend on plugins and is coded in the latest WordPress codex standard. This website template also has a feature that allows you to put up a “shop” with their WooCommerce plugin. It is also designed with really elegant and modern flat graphics. Altair is a web design ideal for tours and travel companies. It is designed in such a way that fully showcases the tour’s content. Altair has both full width and fixed width layouts that allow you to display tour packages. This allows you to add small or extensive details to the layout. This web design also comes with a unique booking form that will surely set you apart from the rest of the other tours and travel websites’ booking forms out there. Altair comes with an advanced tour search that will allow potential customers to find tour packages that will best match their interests. This design also has a parallax feature, which can potentially help impress your customers. 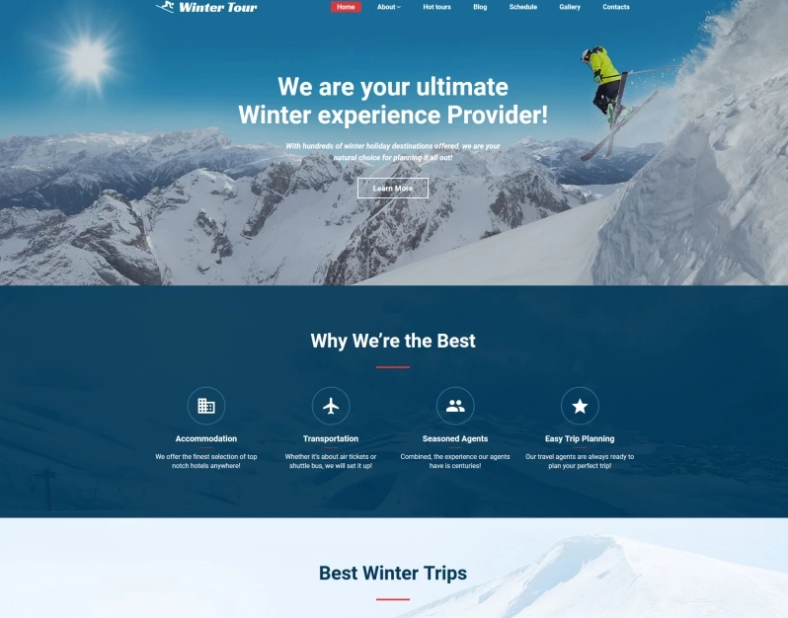 To note, Altair has become one of themeforest.net’s best selling tour and travel agency themes and has a number of testimonials from customers. Go Far Away is a theme that inspires people to change their lives in little ways. With that thought in mind, those little ways add up to have a macro impact. It’s simple and effective. Its web design is 100% responsive and has features that will blow your socks off. 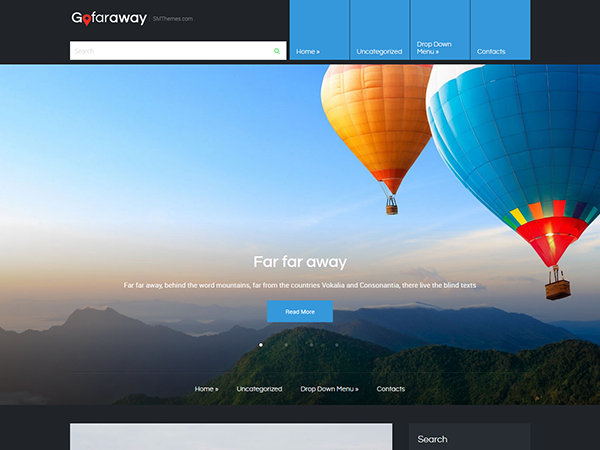 Go Far Away comes with custom sidebars, a dynamic content loader, a social bar, responsive web design, and multicolored related posts. The custom sidebar feature allows you to customize the layout of your web-page’s sidebar. The dynamic content loader lets your page load new contents without having to reload. With the social bar feature, your customers or web visitors are able to share your posts or articles on different social media platforms, which will help generate more traffic to your website. Responsive web design adapts to the layout of mobile phones or tablets, making Go Far Away compatible with any kind of device. Lastly, the multicolored related posts feature enables you to catch the appearance of similar posts that will keep visitors on your website. 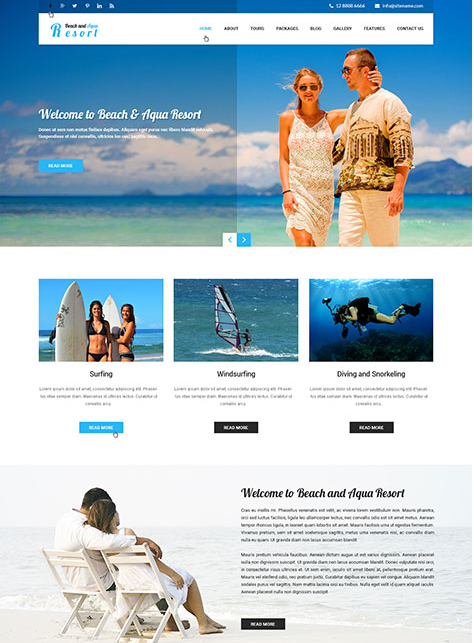 This beach website design and template by SKThemes is ideal for beach resorts, vacations and tour companies, travel operators and agencies alike because of the design’s multipurpose nature. This website design has several features that allow you to create an attractive website. The theme comes with several built-in short codes that can be edited to fully personalize your website. For example, you have the option to go for just one column or choose up to four columns for your layout. Furthermore, this web design has cross-browser compatibility and has been tested on different devices. 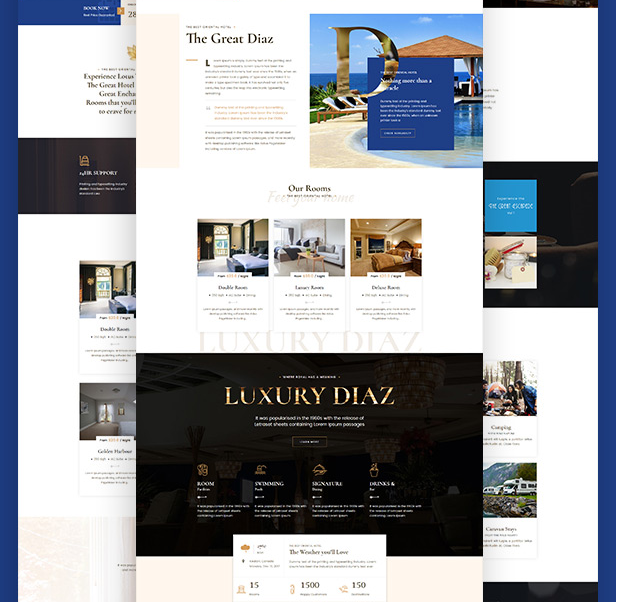 Diaz is a luxurious web design template suitable for elegant hotels and luxury resorts, but can also effectively work for tours and travel agencies. 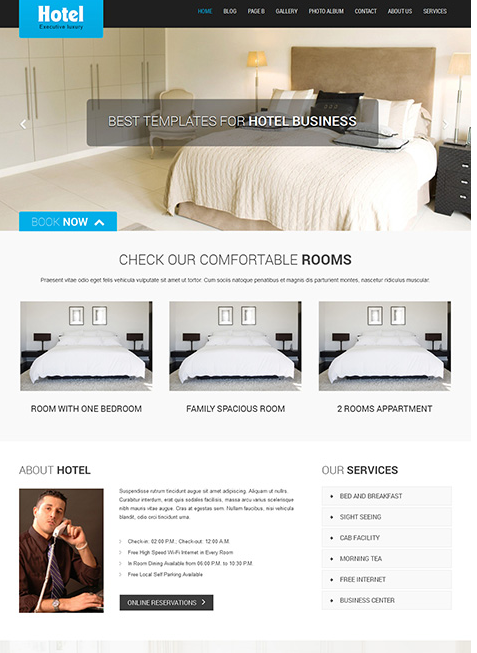 This web design is integrated with the WP Hotel Booking Plugin that will help make your booking system efficient. Diaz also comes with 150+ short code elements, unlimited header possibilities, and 12 styles of WooCommerce styles. Speaking of WooCommerce, this plugin will enable you to put up a shop on your website. Diaz is packed with features that will helpfully optimize your website. It is coded with HTML5 and CSS3, uses Google fonts with 800+ options to choose from, font-awesome icons and stroke gap icons with rich scalability to any preferred size without losing the quality, and social integration. It is also coded with SEO in mind to help make your website stand out from the competitors. 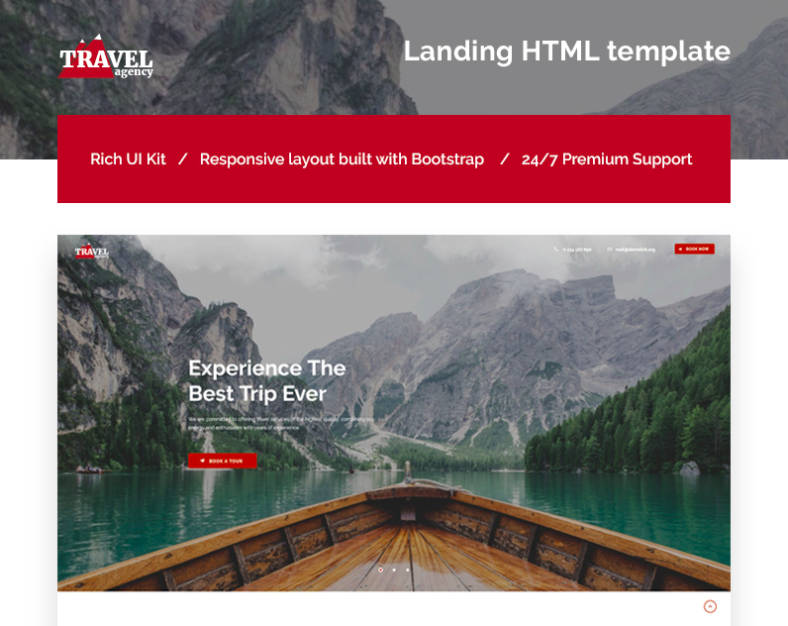 This travel booking website template is coded with HTML5, CSS, Bootstrap, and JS Frameworks is ideal for tours and travel agencies. This design gives you the option to view your posts or articles on either the left side or the right side of the page, or if you prefer to view it in full page, that option is available too. Now that more people view websites through their phones and tablets, it is important that your website has the ability to respond to different kinds of devices. That is what prompted the developers to make this travel booking website to be device responsive. It also changes its design depending on the device it is viewed from. 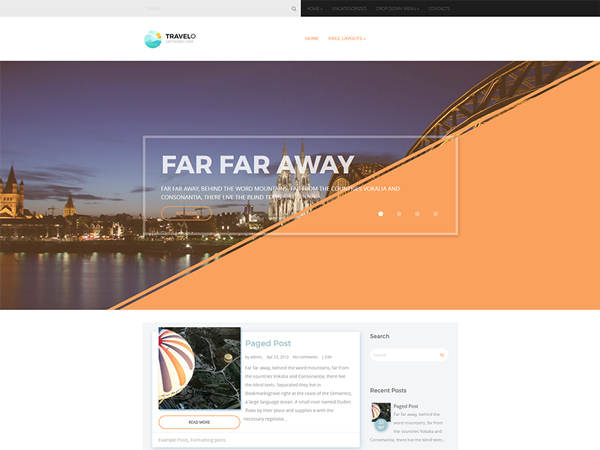 You may also see travel WP themes. 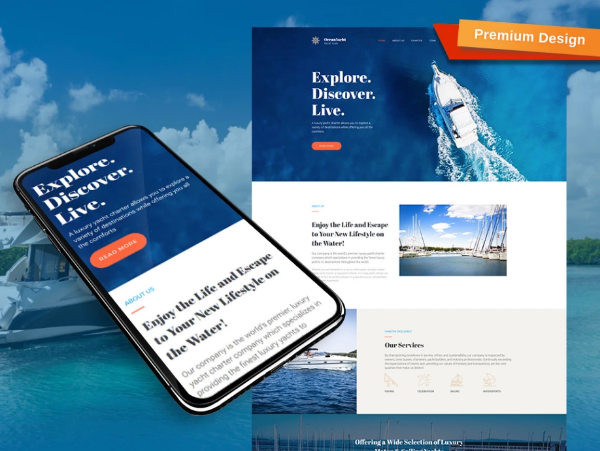 Ocean Yacht premium design is easy to build and create a website. With a drag and drop website creator, you can easily assemble a functional website with ready-made blocks. Ocean Yacht, although made as a website for yacht services, can also equally work for tours and travel websites. This website was designed by the developers with professionalism and personal comfort in mind, as it is those two things most travelers look for in a tours and travel websites. Ocean Yacht is packed with key features that will make your potential customers’ experience smooth. It comes with pre-made pages that you can customize such as a subscription form, handy widgets, an audio player, social media, a color picker, photo galleries, and so on. To also note, this design is made to be 100% responsive. Traveling is an activity that most millennials want to do. Fly Me website design targets those individuals. The inspiration for this website template comes from the need to change one’s scene from time to time. It comes with features that are not present in most other website designs. For example, it has a custom contact form and Google Maps integrated in the website. Fly Me is built with an SMT Framework 2.0 and has the Anti-Spam Without Captcha feature, meaning your website will be spam-protected and your users will not have to scrutinize the captcha. This design is 100% responsive and has cross-browser compatibility. 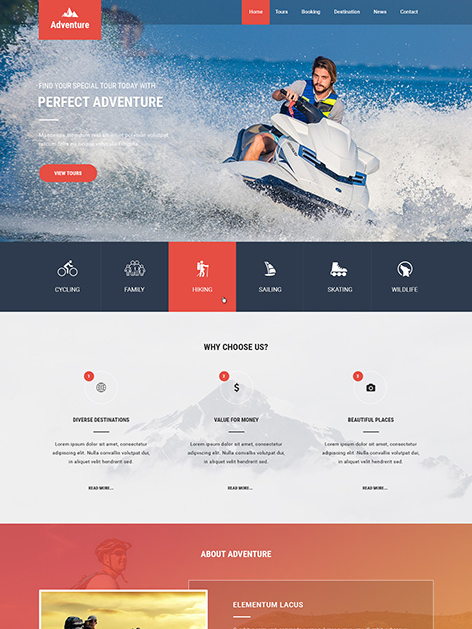 Adventure is a website design template that is ideal for adventure sports and their merchandise, but this design can work for a tours and travel agency websites as well. You can easily customize the color scheme, texts, and images to your company’s preference. Adventure, like most of the website designs and templates in this list, is 100% responsive and is mobile friendly. This design is based on CSS3 and is compatible with all kinds of page builders, hence giving you the ability to set up pages easily. Adventure also comes with WooCommerce giving the purchaser the ability to set up a shop. 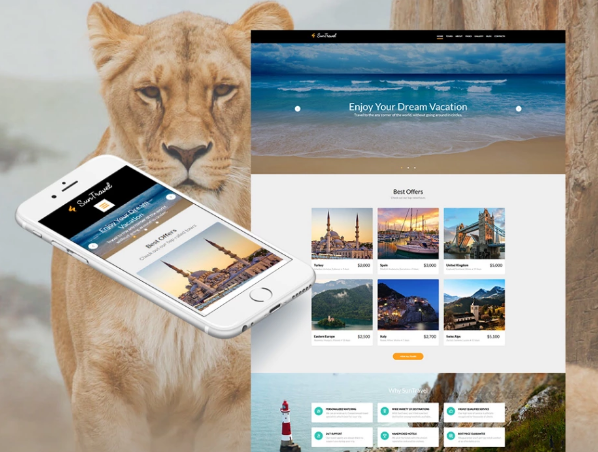 This tours and travel website is built with Bootstrap, CSS, HTML5, and JS frameworks and is fully responsive. This web design gives you the option to view your posts on either the right side or the left side of the page or if you prefer viewing it in full screen, it has that option too. Being that computers are not the only devices now we are able to access the internet, it is important that your website is “device responsive”. This tour web design template is designed in such a way that it is possible to view it in any kind of device. 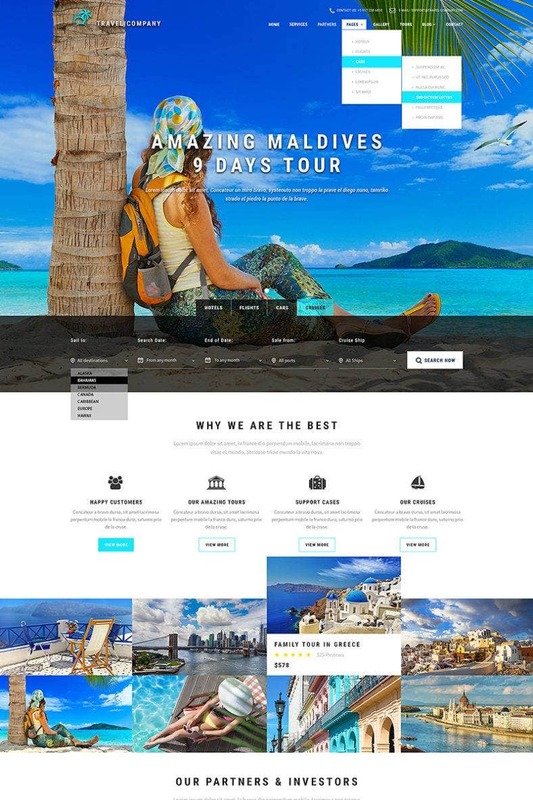 This black tours and travel website is just simply amazing and does not require any coding or design skill as it is made to be easily customizable. This design comes with eight different sliders and gallery options. This includes the background slider, carousel slider, grid slider, reflection gallery, slider, and others. It also comes with twenty widgets and modules and has a built-in mobile version. This design has crpss-browser compatibility and is SEO friendly. 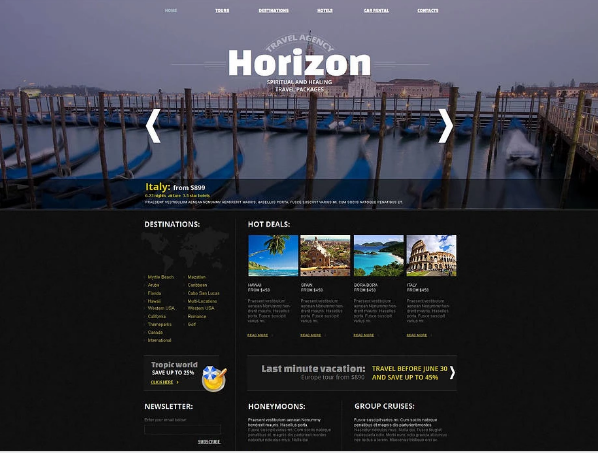 This black tours and travels website design is also 100% responsive. “Being home with the wild” was what the concept behind this website design. Bungalo has a contemporary take on a classic design that will inspire the traveler in you. 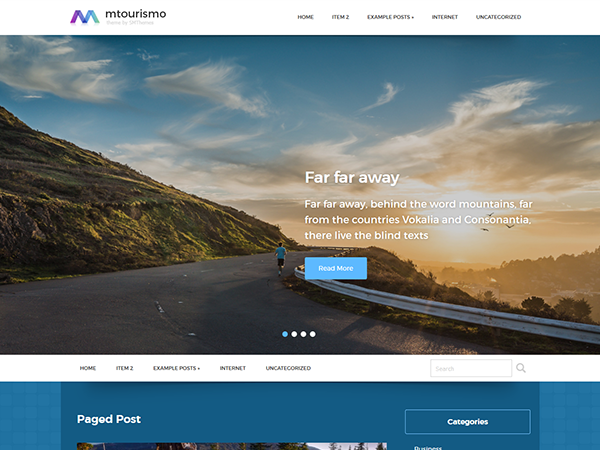 This design is packed with features that will help better your tours and travel website. It comes with custom sidebars, custom widgets, and is compatible with responsive Woocommerce. Updated with the latest WordPress version, it is optimized for SEO. Bungalo is a responsive web design that is able to work in any kind of device or browser. Travesia is a website design ideal for tours and travel companies. It is good-looking, uses bright colors, and has engaging content. This web design is made with Mobile Device Optimization, meaning it can perfectly work with any kind of phone. 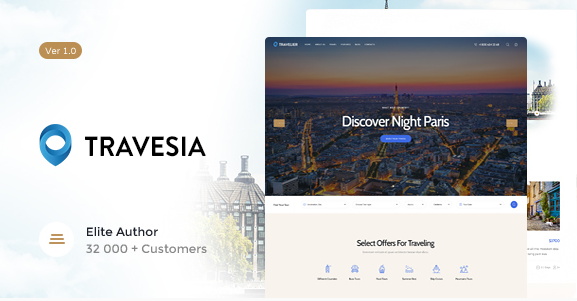 Travesia is set with theme core features like a drag and drop page builder, an easy to customize theme, does not require any coding, and most of all, it is SEO-optimized. Some other features in this website include a mega menu compatibility, multi-language support, and Google Web Fonts. This web design also comes with a parallax effect that will help make your website come to life. Oceanica is an all-in-one accomodations website that is also ideal for tours and travels. This web design template is SEO-optimized and is fully responsive. 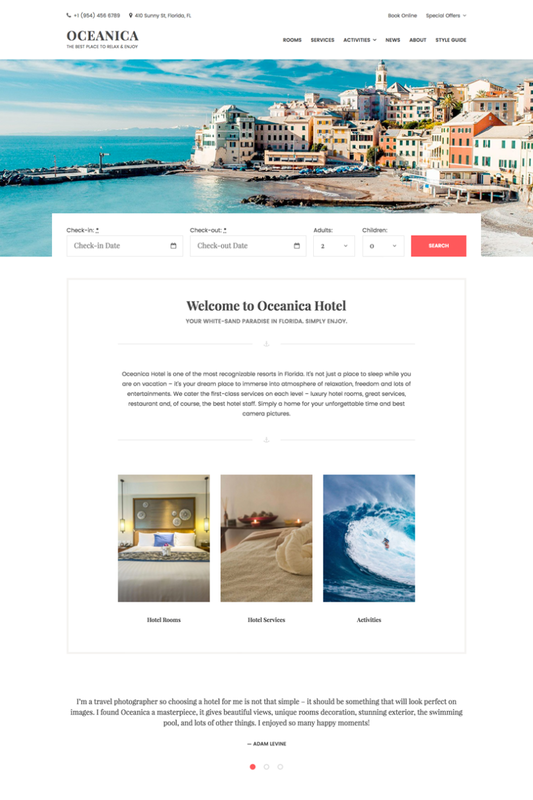 Hotel Booking Plugin is also integrated into the theme, which will help create a stunning, powerful, and user-friendly gallery for accommodations. What makes Oceanica special? Simple. Its key features will help make your website come to life as it provides users with a real time search availability form, manual and automatic booking confirmation, channel manager for bookings, and so much more. 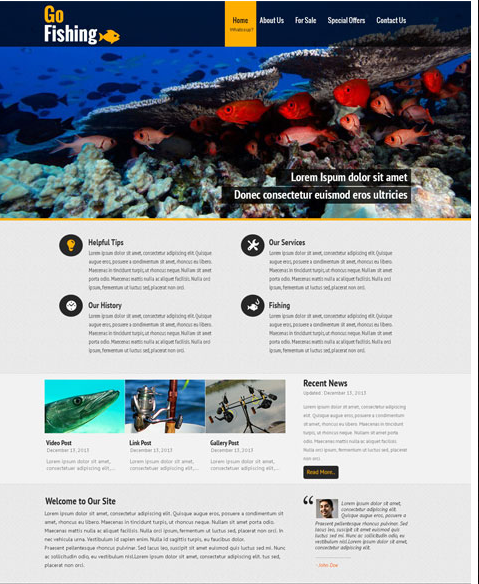 Oceanica is 100% responsive and is retina-ready. Go Fishing is a website design targeted towards the fishing industry, but it can also work for a tours and travel companies. Go Fishing is SEO and SMO friendly and has HTML5 and CSS3 compatibility. This web design is also compatible with Google Fonts, giving you options to choose from for your text. Go Fishing is packed with features that will help your website come to life, like a fancy banner on your home page that is customizable, options for the sidebar, plugin compatibility (Woocommerce, Events Calendar, Gallery plugins), and more. 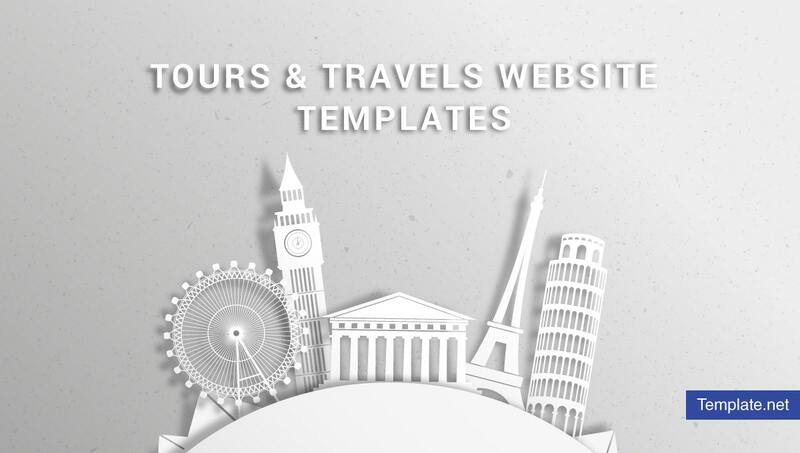 Travel Time is a website design template that works perfectly for tours and travel companies. This design allows you to fully showcase the tours and destinations on your website with its grid-form layout. Travel Time is integrated with plugins, allowing you to make your website different from the rest. It comes with WooCommerce that will allow you to set up a shop as well. It also utilizes Events Calendar Pro, which allows users to schedule upcoming events and offers. 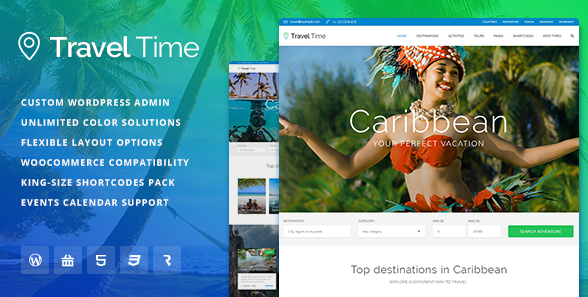 Travel Time also comes with features that you will surely like such as animations, blog layouts, custom post-types, a mega menu and more. Travel Time is HTML5 and CSS3 valid, making this website easily crawled and indexed by search engines. This website is also 100% responsive. 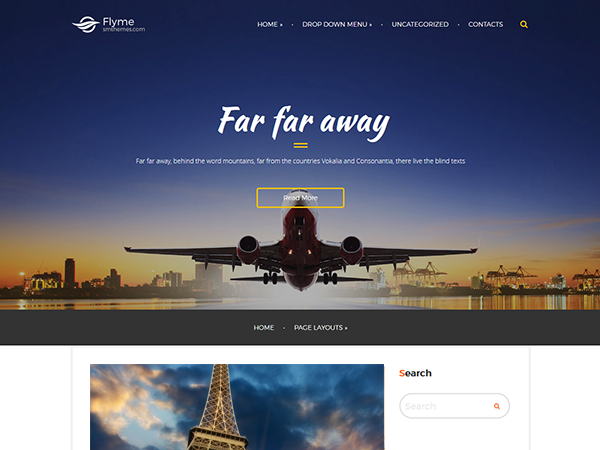 You may also see travel PHP themes. Millennials want to experience the joy there is in traveling. However, that desire can sometimes be difficult to direct. By creating the right kind of website, you can help them sate their wanderlust. It is also important to remember that a website is an extension of a company or a business, so it is ideal that it should elicit the same kind of appeal as your business as it reflects and represents the whole. 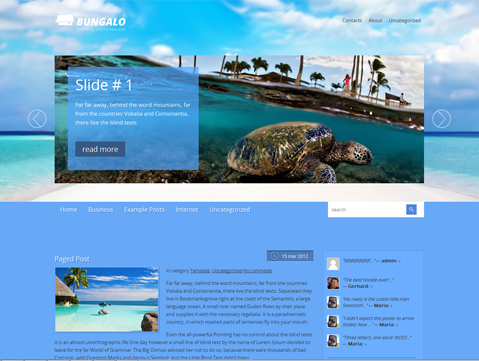 You may also see traveling WP themes. Do not forget to bookmark this page if you found this article helpful for future references. And kindly share this with other tours and travels company or business owners seeking the best website templates and designs for their business.